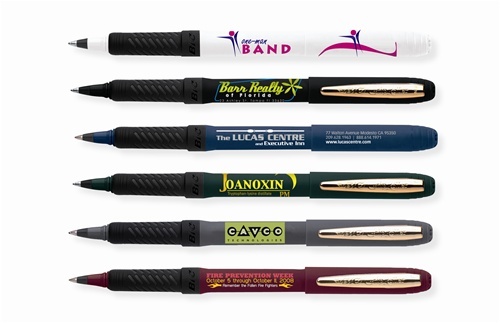 Custom Imprinted Roller Gold BIC® Grip Ballpoint comes with textured, comfortable rubber grip. 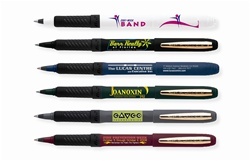 Personalized Roller Gold Ballpoint features fast drying ink. 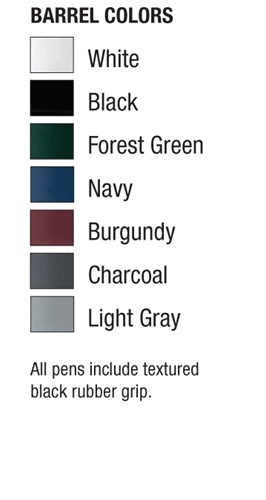 Custom Imprinted Roller Gold BIC® Grip Ballpoint is available in 9 colors: Black, Burgundy, Charcoal, Forest Green, Light Gray, Navy, blue, red and White.